Brontios is the lead Sar-Malach who is assigned to protect the Hellenic lands from demonic forces. Known to the Hellenic Peoples as Zeus, Brontios’ work has given much to the myths of this ancient land. Along with his fellow Sar-Malachim, he fights diligently to keep mankind on the of good and light. Brontios’ greatest nemesis is Erebus, the Lord of Darkness in Hellas. Erebus has tried for centuries to overthrow Brontios and the Olympians. Now that rumor of the Theohedron has surfaced on the Central Planet, the Olympians must be extra diligent. If it were to fall into the hands of a demon, there may be little chance of victory. Entrusted with the power of heavenly lightning, Brontios uses his strength and energy to build up and protect that which is entrusted to him. 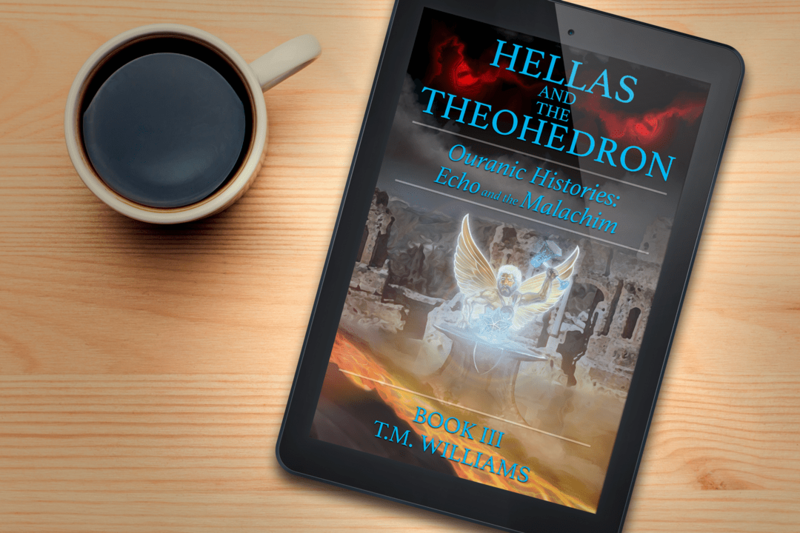 Working diligently by his side are his fellow Sar-Malachim including, but not limited to Enosichthon, commander of the waters, Itonia, Wise director of her city’s namesake, and Klutotechneis, the heavenly commissioned to create the Theohedron. In addition to rumors of the Theohedron, reports have come to Brontios regarding powerful witches aligned with his demonic nemesis. It is said that those witches train and grow all sorts of unnatural monsters. Another rumor has also spread that the famed Oracle of Dodona, one of Brontios’ few connections with the human world has been usurped by an apparent evil twin, which could spell disaster for the fates of anyone seeking her guidance.